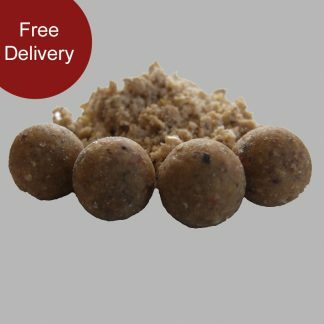 The Eclipse Baits wafters have been developed to give the angler a massive edge by containing a high proportion of basemix and the optimal level of floatant it really is hard to see any physical difference between the wafters and free bait whilst the attractors have been matched to the freezer bait exactly. Wafters have always been an excellent hookbait alternative to bottom baits by counter acting the weight of the hook which makes them behave more like a free bait when bottom displacement occurs and for fishing over silt or low lying weed, they are also excellent for trapping delicate feeding fish on some of the tougher venues leading to very secure hook holds further back in the mouth. As a guide we have found an average size 6 such as a wide gape type pattern creates a proper crittically balanced / slow sinking hookbait whereas an average size 8 might need a tiny split shot or blob of putty to achive the same result.